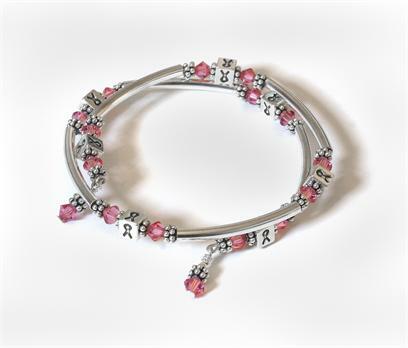 Beautiful and dainty, this bracelet incorporates pewter cubes engraved with a ribbon and cut pink Swarovski crystals. 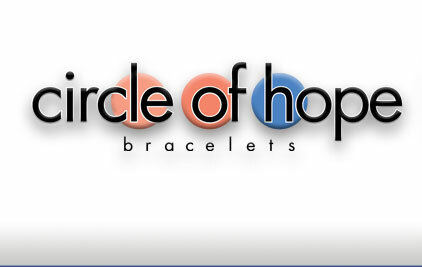 The Hope Bracelet is available in all cancer colors. Click here to view the options and which cancer they correspond with.